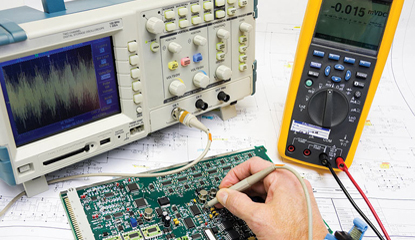 ​Electronics Technology labs are technical development and prototyping platforms for innovation and invention, providing stimulus for local entrepreneurship and startups. The labs aim to leverage the whole value chain from design to final product. ​The CAPEX Attraction Program for Promising Products attracts foreign and local investments to establish new factories to manufacture locally a set of promising products and/or their feeding components. The Program pays back investors a percentage of their capital expenditures on factory machinery and ICT technologies. ​The CAPEX Attraction Program for Feeding Industry Upgrade attracts foreign and local investments to upgrade existing factories to manufacture locally specified feeding components for a set of promising products. The Program targets small and medium enterprises and it pays back investors a percentage of their capital expenditures on factory machinery and ICT technologies. ​The Customized Enterprise Training Program builds the capacity of industrial enterprises and design companies through transferring recent technologies that are very crucial for business sustainability and growth. The Program funds training customized as per the special needs of an enterprise whether delivered locally or overseas. The funding percentage depends on the enterprise size: 70% for micro, 60% for small, 50% for medium, and 40% for large. RDI program is empowering the local design of electronics systems & IC Chip design (ASIC) by funding the research, development & innovation to design local competitive electronics products/systems/IC chip or electronics components/parts (industrial electronics) which may be used in home appliances, automotive, renewable energies, to maximize the local added value. This program leverages the collaboration between local industries, R&D and academia.